According to Forbes website, India cricket team captain Virat Kohli is among the world’s highest-paid athletes. The list has the top-100 athletes, hailing from 22 countries and competing across 11 sporting disciplines. This list is topped by American boxing champion Floyd Mayweather with USD 285 million earnings. Know more in detail. Talking about Indian sportsperson, Virat Kohli is the only sportsperson from India to be featured in this list. The Indian skipper is ranked 83rd with earnings of USD 24 million. 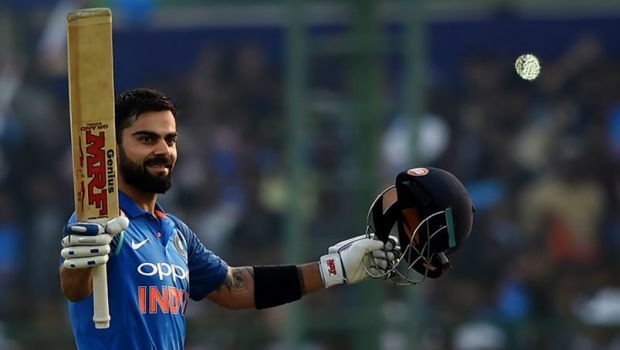 According to Forbes, Virat Kohli is not just India’s biggest name in cricket but is also one of the most popular athletes in the world. He boasts more Twitter followers (25 million-plus) than all but three active sports star. In 2017, Kohli was ranked at 89 with total earnings of USD 22 million. This year, surprisingly, the list has no women sportsperson. Previously, tennis’ female sportspersons Li Na, Maria Sharapova and Serena Williams were list regulars. In 2014, Li Na retired, Sharapova is still dealing with the aftermath of a 15-month suspension while Williams was the only woman to feature in the top 100 last year. From the last seven years, Mayweather heads the world’s highest-paid athletes for the fourth time. Argentine football legend Lionel Messi is on second while soccer star Cristiano Ronaldo is on third. With martial arts superstar Conor McGregor and Brazilian footballer Neymar on fourth and fifth position, the list gets completed. Talking about other legends, sprint king Usain Bolt is now No.45 on the list. Tennis legend Roger Federer is 7th and his rival Rafael Nadal has occupied the 20th spot. Previous articleUP govt cancels land given to Baba Ramdev for Rs 2000 crore food park?